Some of these books came out in the summer (The Vanishing Season by Jodi Lynn Anderson; The Vault of Dreamers by Caragh O'Brien) when I was moving and grieving my friend's suicide. Some came out in October (Tell Me Again How a Crush Should Feel by Sara Farizan; The Cure for Dreaming by Cat Winters) when I was trying to catch up with all the ARCs that I was now behind on because of various things. And now I've finally caught up with these books and had time to read and review them. I hope that it's not too late, and you'll give them a shot! A lot of the reviews I've read said that nothing happened in this novel, which is not strictly speaking true. Its summary suggests ghost hauntings and puts the murders of the girls at the forefront, and that is what I think their complaints are: their expectations were of something else. Strictly speaking, the murder mystery fuels some of the plot points related to the love triangle and helps create a frosty, haunting atmosphere, but this book isn't about the horror of the murders. I saw it classified in my local library as "mystery," and I guess that fits more in relation to the ghost than the murders: as you learn more and more about Maggie-Liam-Pauline and Gill Creek, you start to wonder why you're hearing from this ghost. Will the ghost protect the three of them? Is the ghost related to the murders? Why does the ghost exist? The answers to these questions neatly merge with the climax of the love triangle and the novel, but for the majority of The Vanishing Season, you mostly get beautiful writing & atmosphere + complex characters stuck in a love triangle. It almost feels like a character study, and I'm not sure I've read another YA novel quite like this since their pacing tends to be quick and the action frequent. This one is much more luxurious and much more about these teens and growing up. I actually quite liked this novel. I don't remember a lot about Tiger Lily, and I know that a lot of the reviews I saw said that they liked Tiger Lily but not this; and yet both books feel very similar to me. Though Tiger Lily is a retelling of Peter Pan, the elements of the novel match those here: a love triangle couched in a coming-of-age for the main characters (Tiger Lily, Maggie), the main characters learning to find their voices, settings unique and well purposed for the coming-of-age (Tiger Lily exploring with Peter; Maggie exploring with Liam and Pauline), side characters who feel complex and easy to relate to even as horrible things happen to the main characters as a result of their actions. And though it seemed like the books had similar elements, the plot felt rather unpredictable to me. The answers I got for the murders, the ghost, the love triangle - not everything was expected, and certainly the way Jodi Lynn Anderson answered the questions she raised allowed for us to see the beautiful imperfections of her characters. She doesn't make it easy; she's an author willing to take risks, that's for sure. I would suggest this book to people who don't mind a slower pace and like beautiful, wintry atmospheres that highlight the character development of three flawed teenagers and accordingly, their love triangle and friendship. This book to me proved Caragh O'Brien's versatility as a writer. I love her Birthmarked trilogy - the last book is still on my TBR, but definitely this year I'm getting to it. The third person writing style is a little dense, but works really well for those dystopian novels with science fiction mystery elements and a strong midwife heroine. Here O'Brien switches to a snappy first person perspective from a poor, naive, desperate girl, and that helps build on the creepy and mysterious elements of this psychological thriller. The premise of this novel is wonderful and quite unlike any other YA that I've read. At a film boarding school, where classes and everything in between is being filmed on national television, creepy things are happening while the students dream. Ms. O'Brien did a fantastic job exploring a lot of the possibilities of this premise - the technology involved, classes and creativity enhancement, the relationships between characters, the social media aspects. Oh, the social media! This is one of the most fascinating elements (to me) of the book because as a blogger and someone of this generation, so many of the observations about how the Forge Show works warranted discussion. It also made me identify almost immediately with Rosie because of how she'd started off this novel. It's true that I was a bit confused by the timeline at the beginning, but how Roise came back from being an underdog and her determination, her caring for the other people despite her own desperation to not return to her poor home life, were qualities that made me want to root for her from the very start. I quite liked the dynamic between her and Linus, too, their romance, even if I'm little less sure about Linus himself (just because I identified so strongly with Rosie). This book in general is just plotted really well as a thriller - the pacing is strong and I was kept on edge throughout the work. Ms. O'Brien knew exactly when to end her chapters and what little tidbits to reveal. What kept this book from being a favorite read was the last 30 or so pages. The ending. I abhor this ending. I realize that this is a harsh thing to say, and it gives me zero pleasure in saying it, but the ending, for me, didn't fit with the MC's characterization or the logic of the situation. It kind of felt like it was just there so the sequel would begin a certain way. Ugh, I really don't want to say that! I feel terrible saying that! But if it weren't for the ending... Perhaps you won't have as strong a reaction to the ending as I did. If you're a fan of psychological thrillers that keep you on end like the Mara Dyer trilogy or Stephanie Kuehn's novels, but with a science fiction overlay, you should check out Caragh O'Brien's latest twisty work. This book worked really well for me, and I can't tell if it's because I could relate to so many elements of the MC's background, whether my enjoyment stems from that personal sympathy. Regardless, let me tell you about this book's awesome elements. I was laughing really hard when it came to observations on Persians because I could apply them to my own childhood growing up with Lebanese parents. The mother insisting on bringing gifts to parties/gatherings, how the men gathered at the family party and the rivalry between the MC's sister and their cousin, etc. etc. How the dad and mom acted together - their dynamic - also felt really familiar, and I can't tell if this is a Middle Eastern thing or what, the idea of the children always following in the father's footsteps, but I could totally identify with Leila when it came to her dad wanting her to become a doctor but not feeling like that was the career for her. Even the portrayal of her rich school felt like a reminder. I didn't quite stick out the way Leila did - I look white and don't have "racially ambiguous skintone" (was that how Leila had put it? can't remember) - but my gosh, so many things made me feel a lot closer to Leila. Her fear of coming out to her conservative parents -- I can definitely see that with Middle Eastern families. And isn't that what we want in reading experiences? Where we find something we can relate to and that's what keeps us going? Anywho, this is a really refreshing diverse look on a coming out coming-of-age YA novel. I've already talked about how wonderfully portrayed Leila's Persian heritage is portrayed, but how about Leila's startling observations on the privilege she observes at her school? How rare it is to have such a wonderful main character able to outright point out what's really happening at her schools - and not the typical characterizations that are bland and repeated, like just on people's looks, but instead on how those looks have affected the way that person walks through the world. To me this lent an aura of authenticity to the characters, and in general I loved the supporting side cast, like Leila's best friend, a quiet nerd who actually has confidence and ROCKS the main role of her school's play! The romance in this is really cool too. There are a lot of intertwining love triangles, but it's a standalone novel so you know it doesn't have the time to Go Through All The Angst of Choosing Between the LT Interests. Here are well done love triangles - how obvious the Bad Choices are, how obvious the Good ones, and how obvious the character development of everyone, not just Leila, who is involved in these romantic interludes becomes. Plus the good choice for Leila made me all warm and gushy inside. So cute! There are so many different subplots with regard to the romance and various side characters, but everything comes together to address a lot of important themes, like the fear of coming out, bullying, assumptions about you make about others, taking people at their word & more. I would definitely read something again by Sara Farizan. I've seen some people refer to her as another Sarah Dessen, but Sarah Dessen books always remind me of the summer. 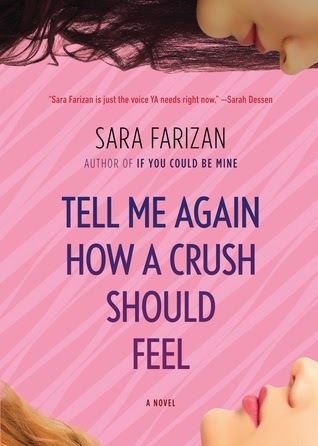 This doesn't feel quite like what I would associate with a summer beach book, but I do like Sarah's blurb about Sara Farizan being an important voice in YA and I would recommend this novel to Sarah Dessen fans. Also to fans of other coming out coming-of-age YA novels like Simon vs. the Homo Sapiens Agenda(particularly this one since they've got similar elements, like large character casts, bullying, and a heaping of theater) and though I haven't read this yet, potentially More Happy Than Not; and other YA novels with larger character casts (Panic) or theater elements (Don't Touch). This was my first Cat Winters book, and I'll definitely be picking up In the Shadows of Blackbirds sometime soon. I have a confession: I love books that look at elements like hypnotism and mesmerism. In my junior year of college, I took a class called Ghosts and the Machine and it focused on the occult. There I got to learn about the ether, cults focusing on aliens, and Mesmer himself among many other topics. It fascinated me to learn about the origins of mesmerized, and sometimes I just had to text my friends about our readings -- the things people believed and still believe today! People are so weird and fascinating. So essentially this book was right up my alley. While others might not like the paranormal and hypnotism elements, I loved them. 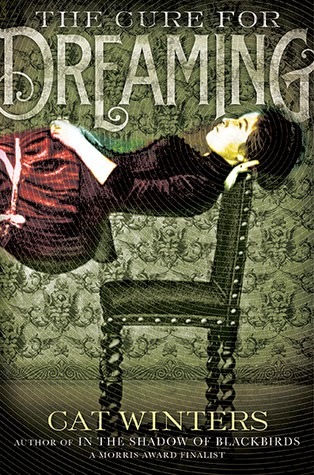 After each chapter of this book, there was a black and white photo related to the Suffragist movement or mesmerism, along with a quote from the books mentioned in the novel, like Dracula. The photos and quotes worked really well with the text to enhance the atmosphere. The setting was perfectly described, the historical detail fully realized and imaginable and the research Cat Winters did to create the setting wonderfully evident. People who love historical fiction will love the backdrop of this novel and how Cat Winters has made her characters fit specifically into the time period. All of them are a byproduct of the age in which they have been raised. And with the 1900s focus, there was a belief in the paranormal, in the power of hypnotism and animal magnetism and the ether etc. So while the novel is not strictly historical fiction, because it presents these elements as truth, it should still appeal to fans of historical fiction and people who like a little dab of the fantastical in their realism. I also really enjoyed the fantastical because our heroine doesn't spend time disbelieving what she sees (a particular irk of mine re: fantasy elements) but rather being realistically terrified by the power of hypnotism and her new found powers. This also felt like a beautiful tribute to feminism and female empowerment. The romance is sweet, but the book is especially wonderful for its focus on Olivia Mead, our beautiful, strong, self-determined main character whose coming-of-age is furthered by her involvement in the Suffragist movement and runs in parallel to the gains and losses of the movement. While she attempts to gain control over her life despite the severe sexism and limitations of her time, she must fight one of the most terrifying but true villains (didn't realize dentistry would make for such convincing villainy). Watching her overcome her struggles was a true pleasure. She is wonderful role model for her target audience of teens. A wonderful book I would hope is well stocked at libraries. What do you think? Will you try one of these novels? Have you already read them? Love these reviews of four books I have been thinking about reading, but sadly still haven't gotten around to. Thanks for sharing! I loved her writing-style in The Vanishing season, but it didn't hold the magic from Tiger Lily for me. I guess I had too high expectations and I felt underwhelmed by this story. 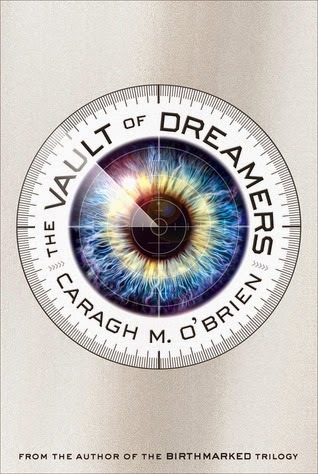 I have The vault of dreamers and I'm curious about the ending, although it doesn't sound very appealing now. I loved The cure for dreaming, but I think I liked In the shadows of blackbirds a tad more. It was creepier and the combination with photographs was brilliant too. Hahah, oh gosh, no I didn't read this all in one weekend. My reviews are scheduled once a week through the first week of April. Nooooooo way could I read 4 books in a weekend - even though that sounds so pleasant, I'd feel too bad, like I had to do something else. I'm like you: I'm lucky if I'm able to get through one. Thank you! I hope you'll get around to them soon! Right? I did see a bunch of negative things on Vanishing Season, so it's nice to have had a different reaction :). Do you have a blog I can visit, Saruuh? I've heard In the Shadow of Blackbirds is actually even better than the Cure for Dreaming, so if you do give Winters a shot, may be the one to check out? 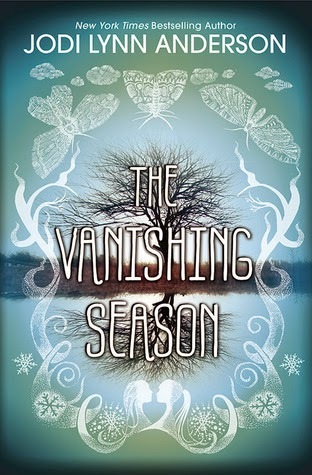 And I hope you end up liking Vanishing Season - I think it's a book that you'll be able to tell from the start how you feel about it and its pacing, if that helps. Ahhh, expectations. That's the real positive thing about reading so much and then forgetting other books lol. I feel like there are so few books for me that hold the level of expectations Vanishing Season must have had for you, since you loved Tiger Lily so much. And heh... well... You might have a different reaction to the Vault of Dreamers. I heard similar things about people liking In the Shadow of Blackbirds more than The Cure for Dreaming :). Yeah... um, I'm not sure what happened. I sort of interpreted it as her accepting her fate? Or like fragmenting into separate consciousnesses and one would remain with the dream harvesting and the other would be off? No idea though. It's not even not knowing how to interpret the ending that bothered me, but rather how that ending was achieved :/. I actually read Tiger Lily and didn't end up liking it as many other bloggers that I know did, but I do like the sound of The Vanishing Season and its slower pace, I think it could be a book that I could enjoy, I'm certainly considering giving it a go. I've also heard brilliant things about Winters, I actually have a copy of In the Shadow of Blackbirds too! So I'm thrilled to see you enjoyed this one. Fab mini reviews Christina!